Research In Motion got itself into the mess its currently in, and by golly it’s going to get itself out. Despite enduring a difficult 2011, the Waterloo-based company insists it is, unquestionably, still relevant, even with its new BlackBerry 10 OS not hitting until late next year. Seeing as ouster calls and unanswered questions have hit a crescendo these past few months, you’d think RIM would seek help, not deny it. According to unnamed sources cited by the Chicago Tribune, that’s exactly what the company has done. It seems the BlackBerry maker was the recipient of some very interested folks over at Amazon, among other potential buyers, but RIM has since rebuffed takeover talks. While details are foggy, a source claims Amazon hired an investment bank over the summer months to review a potential merger with Research In Motion. Beyond that, nothing substantial has materialized. 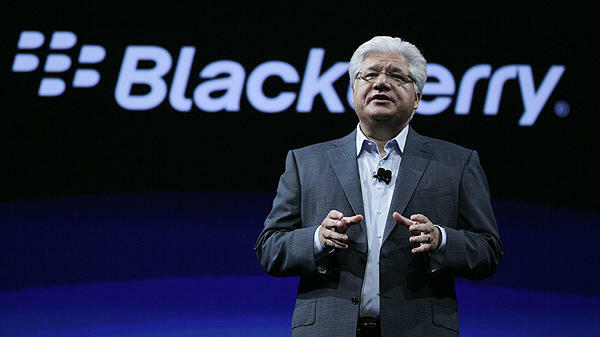 RIM board members have urged co-CEOs Mike Lazaridis and Jim Balsillie to focus on once again making the handset maker a force to be reckoned with. Suggestions range from launching new phones, to better, more innovative use of assets like BlackBerry Messaging. This is certainly a case of the bigger they are, the harder they fall. In the past 12 months, RIM’s market value has tanked by 77 percent. To get a perspective on just how far a fall that is, it was revealed recently that Apple’s App Store alone may be worth more than the entirety of RIM. So, RIM is going at it alone, it seems. Whether it can recover and regain some of its lost marketshare will definitely be a question the company needs to answer once the new year kicks off. In a year from now, who knows how far along Android and iPhone devices will be. BlackBerry 10 devices better be worth the wait, or the company may have no choice but to consider a merger or licensing out its upcoming software. Who do you think should take over RIM?